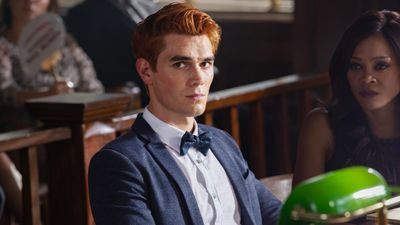 Here's where to watch every episode of Riverdale season 3. Mouseover or tap an episode to see where to stream it. Click or tap the play icon to stream it on the best available service. Chapter Thirty-Six: Labor Day Oct 13, 2018 As the jury begins deliberations in his murder trial, Archie makes a surprising request about how he wants to spend his final days of summer. Betty is forced to deal with her problems head-on after a heated confrontation with Alice and Polly brings up some dark secrets she’s kept hidden. 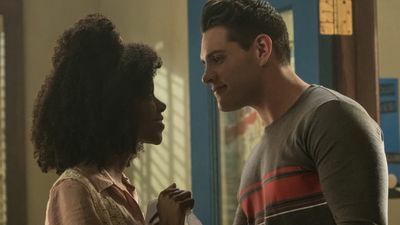 Veronica pleads with Hiram to step in and help Archie before a verdict is announced. Finally, Jughead leads the Serpents against the Ghoulies latest attack. Chapter Thirty-Seven: Fortune and Men's Eyes Oct 18, 2018 After a gruesome discovery is made in the forest, Jughead and Betty team up to investigate Riverdale's latest mystery. As Archie navigates his new surroundings, Veronica devises a plan to bring a bit of home to him. Elsewhere, when Moose decides to join the RROTC, Kevin worries he may be pulling away from him. 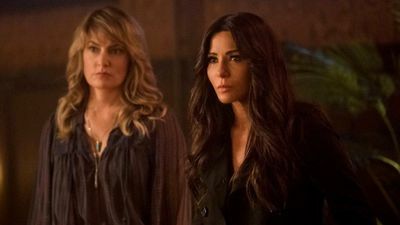 Chapter Thirty-Eight: As Above, So Below Oct 25, 2018 When a series of suspicious roadblocks threaten to delay the opening of the speakeasy, Veronica enlists the help of Cheryl, Toni, Reggie, Kevin and Josie to ensure opening night goes off without a hitch. Elsewhere, Betty and Jughead follow different leads to learn more about the strange incidents going on in the town. Finally, some unwanted attention forces Archie to make a difficult decision about his future. Chapter Thirty-Nine: The Midnight Club Nov 8, 2018 When Betty confronts Alice about Gryphons and Gargoyles, Alice has no choice but to come clean about how she, along with a young Fred, FP, Hermoine, Hiram, Sierra, Penelope and Tom, played the game in the early 90’s – and how a shocking mystery has been plaguing them all ever since. Chapter Forty: The Great Escape Nov 15, 2018 After weeks go by with no contact from Archie, Veronica devises a dangerous plan to break him out of juvie. Meanwhile, when Betty learns that Jughead has taken their investigation into Griffins & Gargoyles a step too far, she finds herself in a race against the clock to save him. Chapter Forty-One: Manhunter Nov 29, 2018 After confronting the parents, who were part of “The Midnight Club” twenty-five years ago, Betty follows some strong leads in hopes of finding out who the true Gargoyle King is. Meanwhile, Veronica’s attempt to prove Archie’s innocence lands her in hot water. Finally, Archie turns to Kevin for help making things right. Chapter Forty-Two: The Man in Black Dec 6, 2018 Fearful that he will be caught, Archie hits the road and ends up at a farm outside Riverdale, where he meets Laurie Lake. Meanwhile, after Alice takes extreme measures to ensure Betty’s safety from the Gargoyle King, Betty finds herself up against a formidable foe from her past. Finally, after learning that La Bonne Nuit is in trouble, Veronica makes a risky business decision that could cost her everything. Chapter Forty-Three: Outbreak Dec 13, 2018 On the road and running out of places to stay, Jughead and Archie head to Toledo to visit Jughead’s mother Gladys and sister Jellybean. 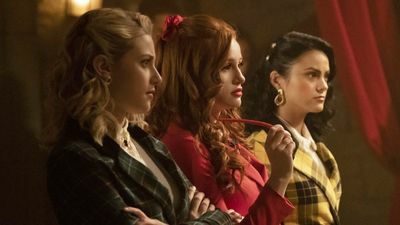 Back in Riverdale, Betty inches closer to uncovering the truth about Griffins & Gargoyles, while Veronica and Cheryl take on Hiram, Hermoine and Penelope after more students fall victim to seizures. 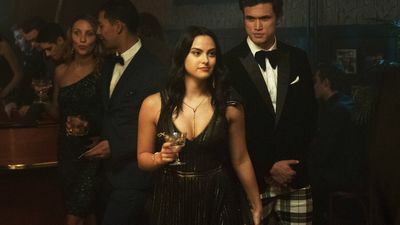 Chapter Forty-Four: No Exit Jan 17, 2019 With Riverdale in disarray following Hiram’s takeover, Veronica leads the charge against her father after he takes aim at La Bonne Nuit. 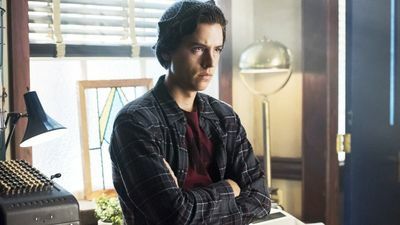 Meanwhile, as Betty reluctantly houses the group of patients who escaped the Sisters of Quiet Mercy, Jughead confronts a group of desperate Serpents, who have resorted to drastic measures to make ends meet. Finally, Archie is forced to face his demons. 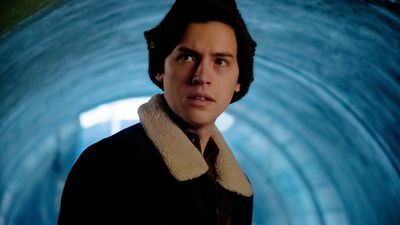 Chapter Forty-Five: The Stranger Jan 24, 2019 With SAT’s around the corner, Alice and FP urge Jughead and Betty to stop investigating G&G and start focusing on their SAT prep. However, when Alice takes things one step too far, Betty is forced to come face-to-face with someone from her past. Finally, Jughead makes a bold move against the Gargoyle Gang. 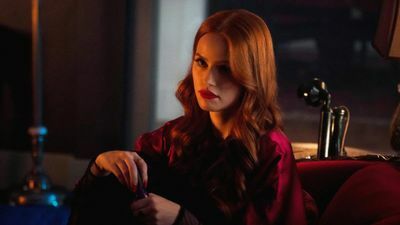 Chapter Forty-Six: The Red Dahlia Jan 31, 2019 After one of their own becomes the target of an unseen assailant, the gang works together to get to the bottom of Riverdale's latest mystery. Meanwhile, Betty works with a surprising ally to piece together clues about a series of deaths in the town. Elsewhere, a spiraling Archie sets out on a new path, while Jughead comes face to face with Ms. Mulwray, Hiram's alleged mistress. Chapter Forty-Seven: Bizarrodale Feb 7, 2019 Amidst preparations for their upcoming wedding, Sierra and Tom receive an unsettling message, which forces "The Midnight Club" to reunite. Meanwhile, Veronica and Reggie take drastic measures to clean up a mess they created. Cheryl learns some unexpected news about the college she has set her sights on. Lastly, Kevin gives Moose an ultimatum. 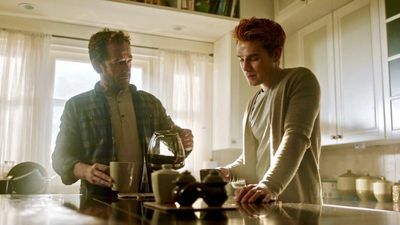 Chapter Forty-Eight: Requiem For A Welterweight Feb 28, 2019 Archie steps back into the ring; Alice goes deeper with the Farm; Jughead visits the Heart of Darkness; Veronica juggles dueling villains. Chapter Forty-Nine: Fire Walk with Me Mar 7, 2019 Betty takes matters into her own hands when she learns that The Farm has set their sights on someone in her inner circle. Meanwhile, when Hiram and Gladys’ control over Veronica becomes too much to handle, she sets a plan in motion to turn the tables on them. Elsewhere, Archie grows concerned about a young runaway he meets at the gym, while Jughead struggles to maintain control over the Serpents. Chapter Fifty: American Dreams Mar 14, 2019 As Gladys prepares for FP’s 50th birthday party, Jughead questions his mom’s motives for returning to Riverdale. 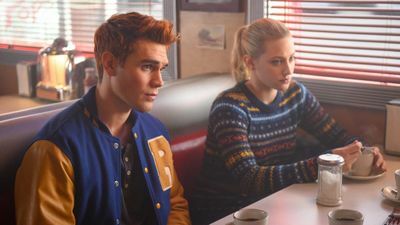 When an unexpected encounter brings Archie back into the world of G&G, Jughead and Betty devise a plan to help him face his past head-on. 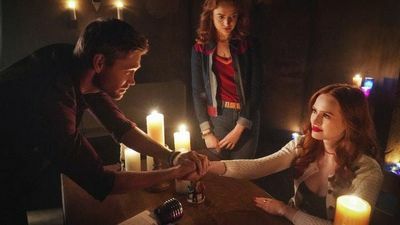 Finally, Cheryl and Toni find themselves at a crossroads, and Veronica reveals a damaging secret to Betty. Chapter Fifty-Two: The Raid Mar 28, 2019 As Betty enlists Cheryl’s help to infiltrate The Farm, Archie and Veronica help an ally from his past. Meanwhile, Jughead’s attempt to put a stop to Riverdale’s drug trade puts him on a collision course with Gladys. Finally, Hiram breaks some surprising news to Veronica. 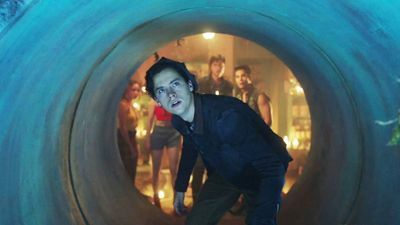 Chapter Fifty-Three: Jawbreaker Apr 18, 2019 When a tainted batch of fizzle rocks makes its way through Riverdale, Jughead and FP set out to find who’s responsible. 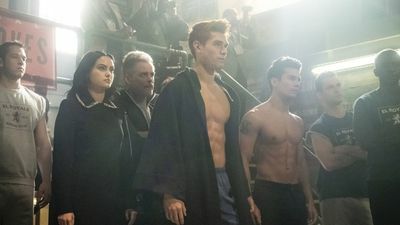 After asking Veronica to help get him into an upcoming boxing tournament, Archie quickly learns he may be in over his head. 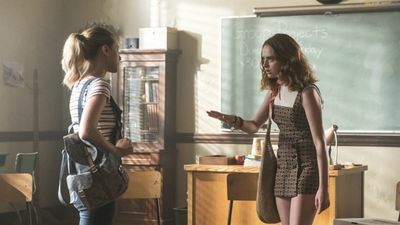 Elsewhere, Betty makes one last attempt to rescue Alice from The Farm’s grip, and Toni becomes unsettled by a sudden change in Cheryl’s behavior. 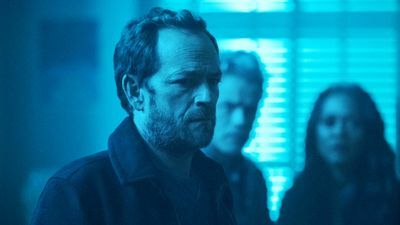 Episode 19 Apr 25, 2019 When Jellybean goes missing, Jughead, Gladys and FP follow a series of cryptic clues to get her home. Elsewhere, Archie faces the fallout from his latest boxing match, while Betty makes a major discovery about Evelyn’s past. Finally, Josie makes a big decision about her future. 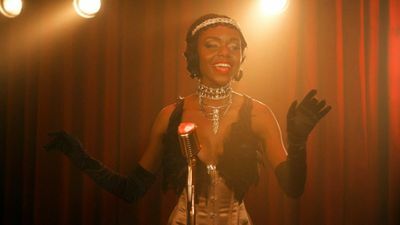 Episode 20 May 2, 2019 Betty takes matters into her own hands after learning some unsettling news about her father. Mary grows concerned by Archie’s desire to take boxing to the next level. 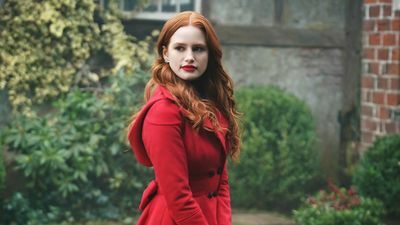 Elsewhere, Cheryl runs into a roadblock during her campaign for prom queen, while Jughead and Betty’s plan to confront the Gargoyle King takes an unexpected turn.